Self Tapping (Sheetmetal) Screws - Stainless Steel - Pan Head Phillips drive drill and tap their own holes when they’re screwed into materials such as wood, plastic and metal. By using a Phillips driver to attach a self-tapping screw, you can create precisely fitted threads. Self tapping screws are ideal for combining two different types of materials or for screwing in areas where access is only one-sided. 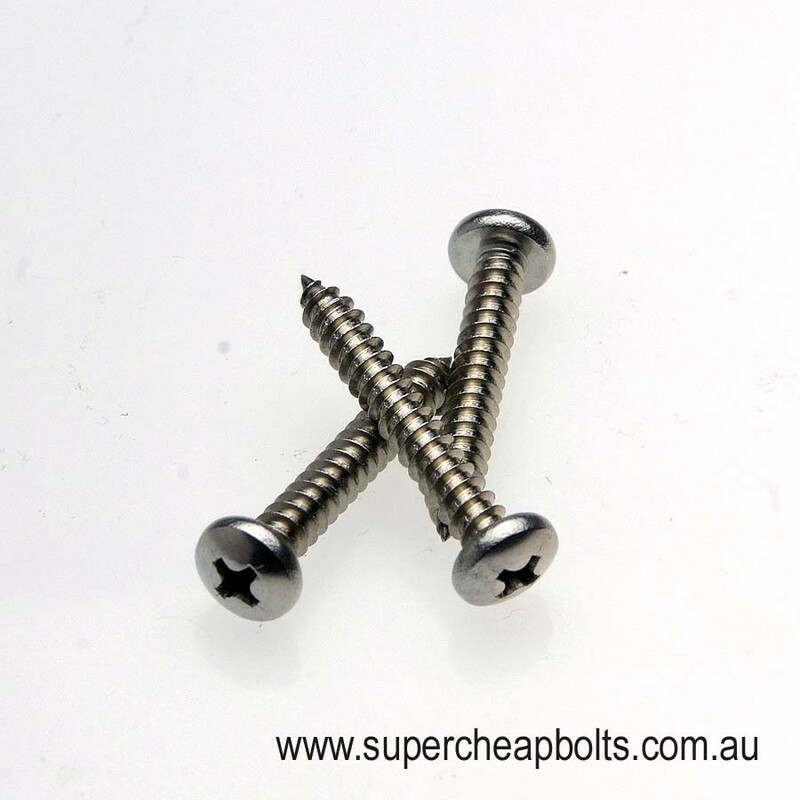 Self-tapping screws are used for products that need to be maintained regularly, such as air-conditioning units or canopies, where you need to dissemble and reassemble the item along the same threads. Supacheap Bolts Grade 304 & Grade 316 self tapping screws are currently stocked in 4G, 6G, 8G and 10G in lengths to 1.1/2" in certain gauge sizes. Phillips drive and manufactured from 304 grade or 316 grade stainless steel for premium corrosion protection, ** Driver bit supplied in all bulk packs.